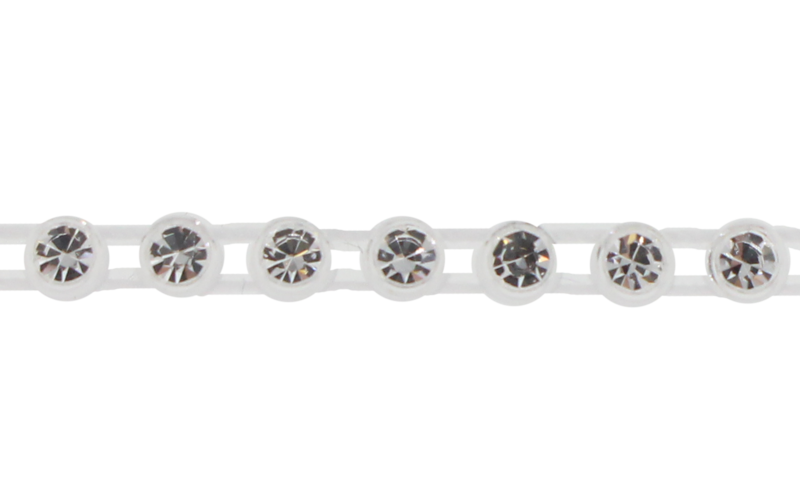 The finest quality Rhinestone Plastic Banding is available here in a 10 meter spool of 1 Row Rhinestone Banding. 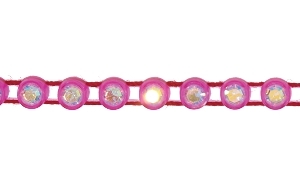 Made with Preciosa Machine Cut crystals, this banding is made with an Alabaster plastic casing and Crystal stones. 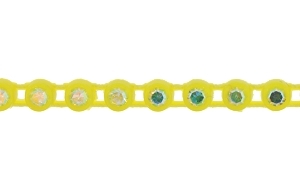 The Crystals are stone size SS8 and when they are set in the individual plastic casing it measures approximately 3mm. 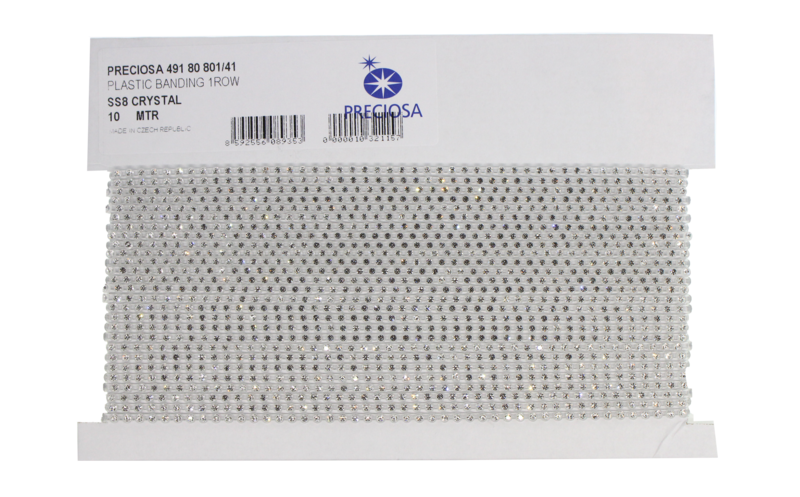 Preciosa Plastic Rhinestone Banding is extremely popular across a wide section of industries, but most notably bridal and Native American Beadwork. 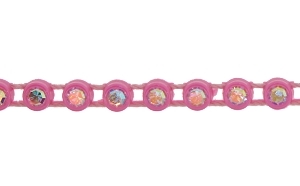 Made by Preciosa in the Czech Republic.